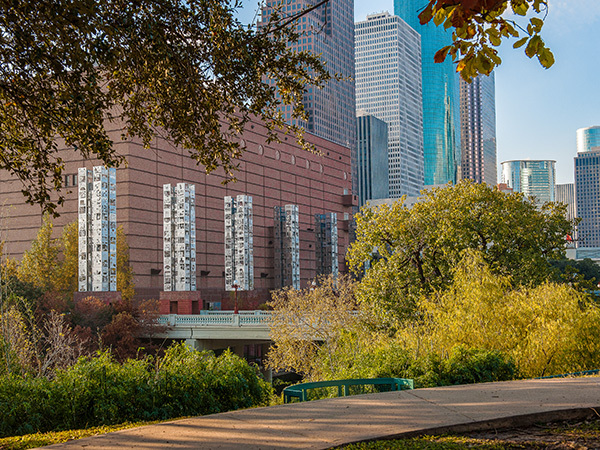 Lying on both sides of Buffalo Bayou in the downtown Theater District, this four-acre linear park was developed in 1986 to celebrate the 150th anniversary of the founding of Houston. 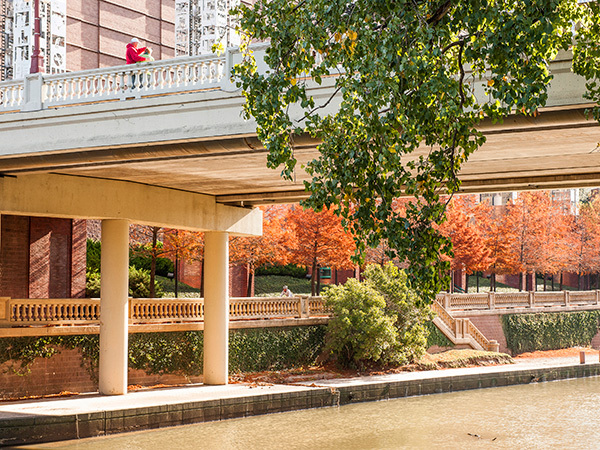 Although the site was used as a farmers’ market from 1927 to 1958, it had over time, become a fragmented, concrete-lined riverbank dotted with columnar supports for overhead bridges and interrupted by various flood-control mechanisms and ramps that led to subterranean parking garages. 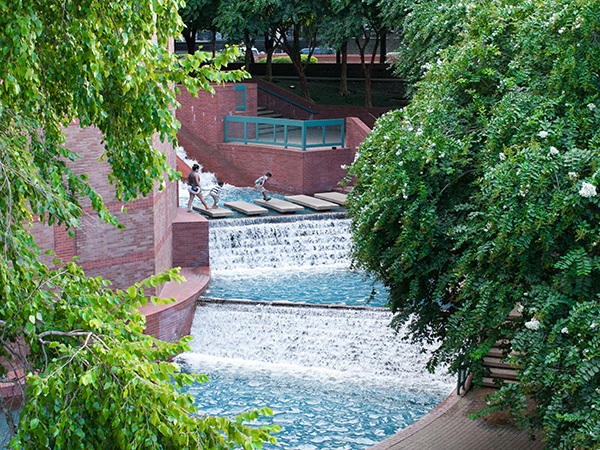 In 1985 the Rice Design Alliance and Central Houston, Inc., organized a competition for the creation of a park. 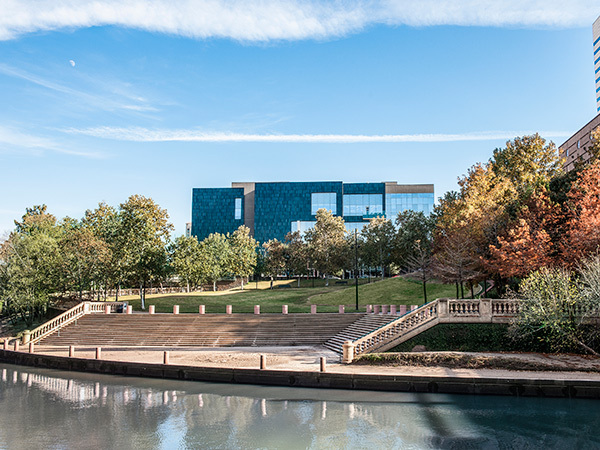 Of the 119 entries, the winning submission came from Team HOU, consisting of architects Guy Hagstette, Robert Liner, and John Lemr, with landscape architect Lauren Griffith. 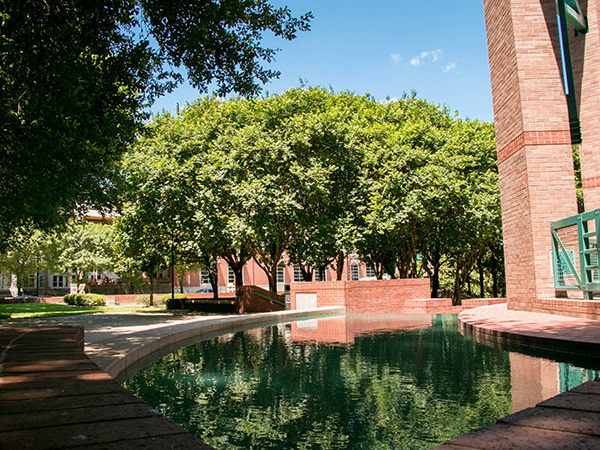 The first phase, which was completed in 1989, included a multi-level entrance plaza, stairway, fountain, and promenade on the east bank. 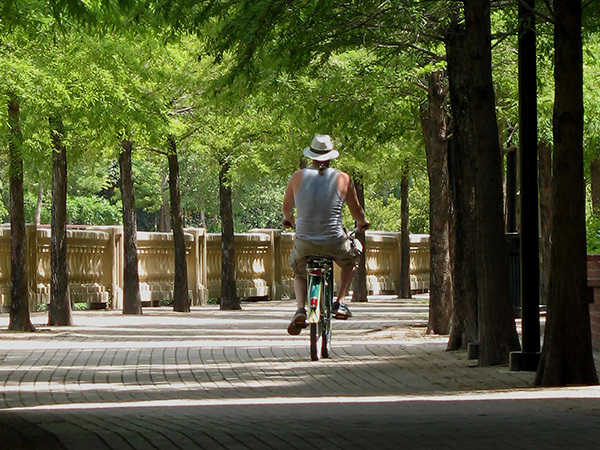 The second phase, finished in 1998 and encompassing both sides of the bayou, comprises a 1.25-acre semi-circular lawn, a 24-foot-wide cypress-lined promenade, and a serpentine walk that descends from street level to the bayou’s edge. 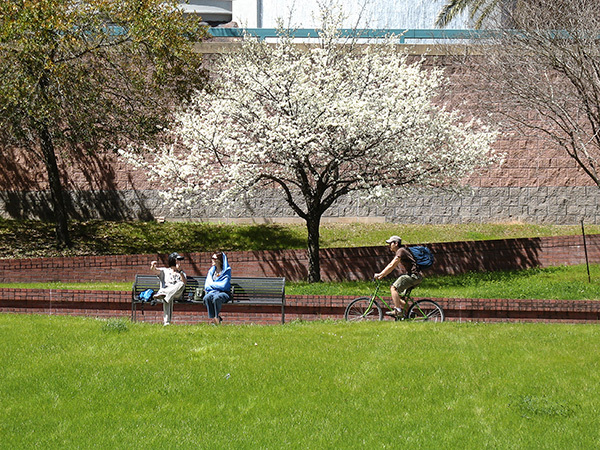 Providing a pedestrian link between the two segments, wide sidewalks on the Preston Avenue Bridge were lined with replicas of historic lampposts. 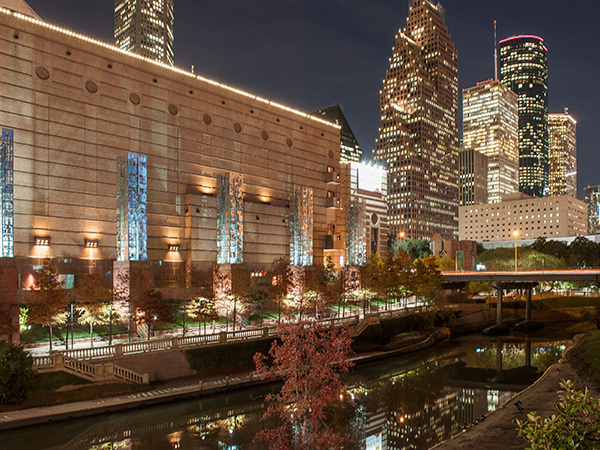 At key locations, seven 70-foot-tall pillars were erected, each featuring children’s drawings etched by Mel Chin into steel plates. 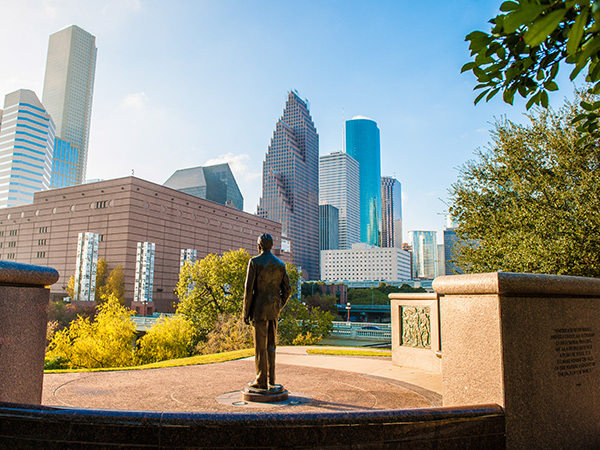 Gensler and Lauren Griffith Associates led the addition of a monument featuring a bronze statue of President George H. W. Bush in 2004 and a monument to Secretary of State James A. Baker in 2010.